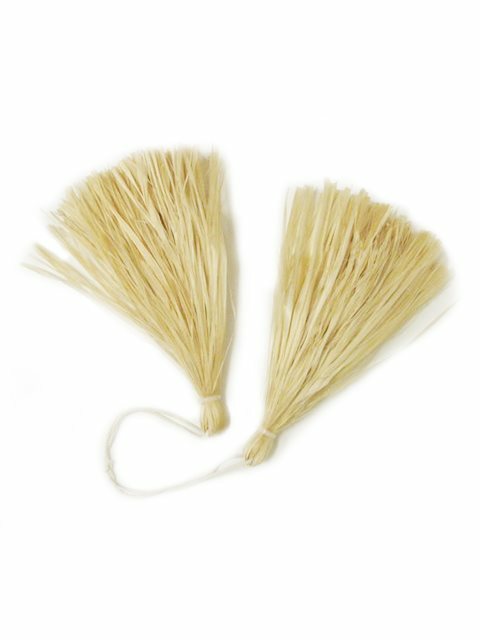 This `I`i (or Tahitian Hand Tassels) are made using dried hibiscus tree bark. The `i`is are sold in sets of two. Natural, Bleach, Red, Pink, Yellow, Green, Blue, Purple, Orange, Brown, Black, Light Pink, Light Blue, Turquoise, Light Brown and Fuchsia. *This is hand dyeing, so if you want to order as a group we recommend ordering all at once. *Feel free to ask another color. Please acknowledge beforehand that the product may vary in shapes and sizes. *Manufacturing will take 2-3 weeks due to short supply. Looovvve them! Same comments as above very costly after the exchange rate and shipping costs applied! I love the natural colour! We are using these for our Otea and I’m very excited to use them, the yellow is very vibrant!